The aim of this study was to evaluate abnormal infrapatellar plicae that cause chondral lesions on the patellofemoral sulcus and superior aspect of intercondylar notch. 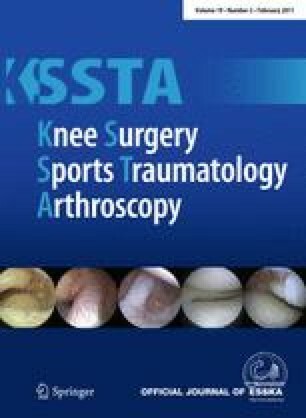 In this study, 133 abnormal infrapatellar plicae were evaluated. The abnormal infrapatellar plicae may lead to chondral lesions on the superior portion of intercondylar notch and on the inferior portion of the patellofemoral sulcus with striking, friction, and compression forces during knee motion. The chondral lesions that were caused by abnormal infrapatellar plicae were more severe than the chondral lesions that were caused by normal infrapatellar plicae. The width of the plica did not affect the severity of chondral lesions. Abnormal infrapatellar plicae might be one of the causes of chondral lesions on the superior portion of intercondylar notch and on the patellofemoral sulcus. The width of the plica did not affect the severity of chondral lesions.